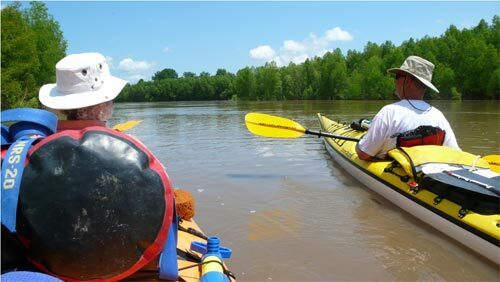 Narrative: The last 40 miles of the Arkansas River is one of the wildest and most remote floodplains in the Mid-South. There is no tugboat traffic due to the shallow water conditions and shifting sandbars. 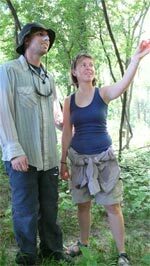 Wildlife abounds throughout, especially white-tailed deer, wild boar, songbirds, turtles, waterfowl, and black bear. This is the richest Bear habitat found between the Rockies and Appalachia. 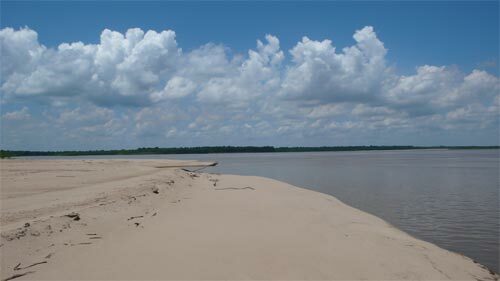 It is connected by nearly contiguous forest with the “Big Woods” of the Cache River Basin where the long-lost Ivory Billed Woodpecker was recently sighted (April, 2005). The entire area is being considered for inclusion into the National Park System. 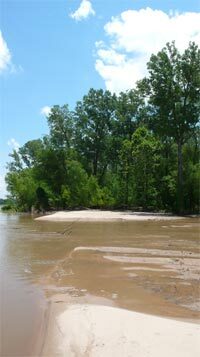 One of the many highlights of this expedition is the confluence of the Mississippi & the Arkansas rivers, the original homeland of the Quapaws which was visited by Jolliette & Marquette, La Salle, Audubon, Nuttall, Twain, Maxmillian, Abraham Lincoln, and many other explorers, naturalists, painters & poets. Put in is at the base of the last dam on the Arkansas River. We will paddle 40 miles of the Arkansas, to its confluence with the Mississippi, and then continue 43 miles downstream on the Mississippi River to take out at Greenville. Points of Interest: Big Island. 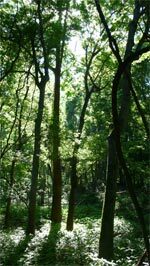 Largest single bottomland forest in mid-South. Historic haven for moonshiners, as well as river pirates. Turner Cemetery. Pelican Lake. 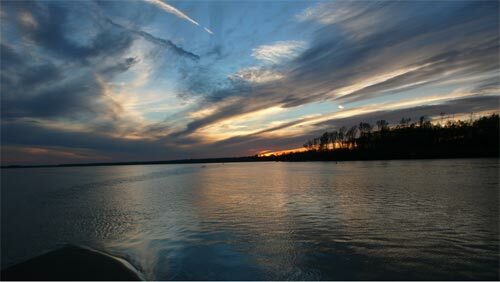 Points of Interest: Mississippi River, the 3rd largest river in the world. Mounds Crevasse, 1927 flood, left one million homeless.